Dear Pauly, I am most confused about the words leachate, worm tea, and the tea one mixes from the castings. What exactly is the LIQUID part in the bottom tray, the stuff we tap off into a bucket? Is that what is called worm 'wee'? what do you use it for? If one takes the castings (vermicast) which I believe to be the clay-like brown solid matter? and we mix it with water, adding molasses or maple syrup or juice to feed the microbes, is this not worm tea? Comments for WORM CASTINGS VS WORM "WEE"
Sorry it has taken so long to respond to your question. Worm tea and the tea one mixes from the castings are, in fact, the same thing. The castings are suspended or dropped into the water and mixed with molasses along with bubbling water. The bubbles increase oxygen in the water for the beneficial microbes and the molasses serves as their food source. The leachate is nothing but the liquid drain off at the bottom of a worm bin. I call it the mystery liquid. The website you quoted is correct in diluting the leachate. Although I do not recommend using leachate to my readers as we do not know what is in the leachate. Many have gambled with this substance (including me) and lost. If you must use it then make sure it does not have a smell and then dilute it 10:1 as described. I actually talk about Leachate vs Worm Tea here on the site go check it out! 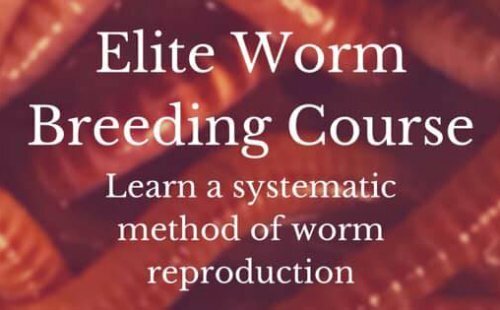 I received a worm farm for Christmas and I have just recently started my second one. I rinse water through my system every 2-3 days when I check my worms and when I feed them. I have been looking for information about the liquid that comes from the farms as I wish to sell some of the stock I can built up. Confusing much? Nothing makes sense, no one gives a straight answer and what answers I do find, contradict. I started using my liquid from the moment I got the first flush through my farm and I used it straight from the tap, undiluted. This liquid is the result of me flushing 1-2 litres of water every few days over the bedding on the top, over the food scraps I have added including paper and any garden bits like a handful of fresh cut grass or undeveloped flower/seed pods from my herbs and any trimmings from them as well and what has drained through the completed tray of castings. I never thought to dilute it ever. What confuses me is people saying it is bad for plants. I use it on herbs, flowers and fruit trees as well as indoor plants - straight - undiluted. The flowers in pots that are in a lot of sunlight have gone from looking alive to being alive and growing and flowering more than ever! Being fed once a week. Our lemon tree has always struggled to produce fruit and this past season the fruit was small and the flesh was brown with very little juice. I started tipping 1 litre of liquid straight from the tap - undiluted - around the base of the tree 1-2 times a week. Within 2 weeks, the tree started popping fruit like crazy, the fruit is bigger, the brown flesh problem has gone and the fruit is so juicy! Ive never seen so much juice come from 1 lemon before. Our passion fruit vine is another big hit! It has only ever fruited twice then died off for the winter when we would usually cut it back. At the end of its second fruiting and only because I keep my worm farms under its canopy, I started tipping half to a litre of liquid, undiluted, straight from the tap, around the base of the vine. It "should" be in its dormant phase but it is on its 3rd fruiting and producing so much fruit, we have had to pulp, bag and freeze it. So, should I be diluting this liquid? Is this liquid worm tea? Or what is it? To me it is liquid gold and has done more good to my plants than any apparent organic solution I have purchased in the past. So much so, that I am in the process of building a greenhouse where I plan on growing my herbs and some veg in nothing but worm castings mixed with some mushroom mulch and feeding them nothing but the liquid from my worm farms. Over kill? Maybe? Maybe not. Pure organic YES! and if the results I have got so far are a sign of what will become of my greenhouse, then I look forward to it. Proof is in the pudding and my puddings "plants" are better than ever! Your story is exciting and gives many visitors encouragement. I think that what you're doing is awesome and I say, "Keep it up!". I tell many people to "use it" and also to "throw it out". Some say to never use it and others say that you can't go wrong so there is much confusion all over. I'll try to explain my point of view as best I can. Your bin, Annette, had all the right variables from the get go. If a worm bin becomes out of balance then the unbeneficial microbes will get out of control and end up dominating the leachate that's collected from the bottom of the bin. This can be foul smelling, acidic, and highly anaerobic yet some still can get away with this and have success using the leachate. But because the leachate contains both good and bad microbes the good end up out numbering eventually due to the beneficial environment the leachate is poured into. But this will not always be the case and when it doesn't go right for many people I would feel bad because I told them to use it. But Creating Worm Tea is so much more beneficial than the best leachate. It's a controlled environment and you know exactly what's in it. I've never heard any nightmares from Worm Tea. So keep doing what your doing. It's working for you and enjoy the fruits of your labor. I personally think that the results of using worm tea depend on variables like Pauly said. I am currently conducting an experiment on vermiculture and vermicomposting so any contribution in this subject is very useful. The stories i’m reading are so true! My father was a proud worm farm activated in the late 90’s after a horrible work accident. He healed his body and mind in the garden. My father swore by the the "Worm Piss" (pardon my language) he use to call it. It’s a great organic pesticides also the best fertiliser. Not sure on the tea! I’ll stick to lemon and ginger. There was a sign out the front of our south west Brisbane acreage home , saying: worm fluid for sale... our school bus arrived at the front of our house. So We were the worm pee family.